Eric Veith, Joe Hornstein and Scott Fetter of the Hornstein Fetter Apartment Group at Pinnacle Real Estate Advisors, LLC announced the sale of 1411 and 1429 Pierce Street located in Lakewood. This multifamily property has 9-units and was built in 1930. The building is located south of Colfax Blvd, just blocks from the Light Rail station and sold for $1,343,840 ($149,316/unit; $166/square foot). Holliday Fenoglio Fowler, L.P. (HFF) announced the construction financing for Block 162, a speculative Class AA office tower totaling 595,039 square feet in Denver’s central business district. The HFF team worked on behalf of the borrower, a joint venture between Patrinely Group and USAA Real Estate, to secure the four-year construction loan through PCCP, LLC. 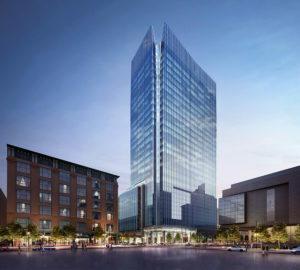 Block 162 broke ground in June of 2018 and upon completion will be a core, 30-story office tower with 9,900 square feet of ground-level retail and parking in three below-grade and nine above-grade decks. The core and shell of the building is being constructed to meet LEED Gold certification, and it will be only the second office tower of 25-plus stories to be delivered in the last three decades in Denver’s CBD. A best-in-class amenity package will be highlighted by an 11th floor sky terrace with social lounge, an activated outdoor fitness area in conjunction with a full-service indoor fitness center, bike storage and 2,800 square feet of conference and meeting space. Block 162 will offer tenants super-efficient rectangular floor plates, floor-to-ceiling glass for maximum natural light, 10-plus foot ceiling heights, on-site security and panoramic views of the Front Range and downtown. The 1.1-acre site is positioned on a corner lot at 675 15th Street. This location is within a short walk of Larimer Square, the 16th Street Pedestrian Mall, the Colorado Convention Center and the Denver Center for the Performing Arts. Additionally, the project will be served by an adjacent light rail stop at the 16tb and California Street station providing connections to the rest of the CBD, LoDo and Union Station. The HFF debt placement team representing the borrower included director Leon McBroom and Senior Managing Director Eric Tupler. 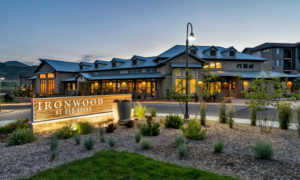 Newmark Knight Frank Multifamily announced the sale of Ironwood at Red Rocks, a Class A luxury garden-style asset located in the highly coveted west-side submarket of metro Denver. Vice Chairmen Shane Ozment and Terrance Hunt represented the seller and developer, Embrey Partners (Embrey), one of the most well-known and respected multifamily developers in metro Denver, in the sale to AvalonBay Communities, an equity REIT. The property sold for an undisclosed price. Ironwood at Red Rocks provides excellent access to the Rocky Mountains and visibility via C-470. 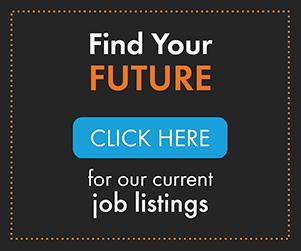 Employment hubs such as Lockheed Martin, the Denver West Office Park, the Denver Federal Center, Saint Anthony’s Hospital, the Jefferson Country government offices and the National Renewable Energy Lab (NREL) are minutes from the property. Ironwood at Red Rocks’ 256 units comprises spacious one-, two- and three-bedroom units, the latter of which average more than 1,300 square feet. Luxury apartment interiors offer large kitchen islands, under-mount sinks, granite countertops, stainless steel appliances, full-size washers and dryers, large patios and balconies and spacious walk-in closets. The property’s amenities include a spacious clubhouse, state-of-the-art fitness center, indoor yoga studio with spin bikes, a game room with billiards and shuffleboard, a resort-style pool with tanning ledges and a heated spa, an outdoor kitchen and lounge area with a fire pit, a catering kitchen and dining room, private garages and carports, a bike/ski workshop and pet spa. Holliday Fenoglio Fowler, L.P. (HFF) announced $9.52 million in financing for King Street Apartments, a newly built, 29-unit/94-bed apartment property net leased to Regis University in Denver. The HFF team worked exclusively on behalf of the borrower, a joint venture between Urban Fabric Denver and Slipstream Properties, to secure the 10-year, 4.56 percent, fixed-rate loan through a national bank. 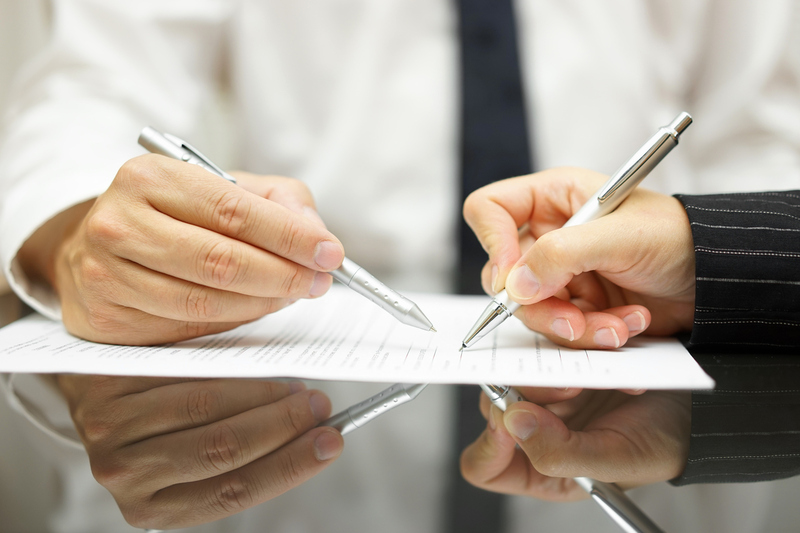 The loan features two years of interest-only payments followed by a 30-year amortization schedule. The borrower assembled the development site, secured a long-term net lease from Regis University and developed the property with Regis’ input on property design and construction. King Street Apartments consists of a five-story, podium-style building containing a total of 94 bedrooms and 94 bathrooms in a variety of one- through four-bedroom furnished floor plans with shared central living rooms and kitchens. Unit amenities include quartz countertops, nine- and ten-foot ceilings, in-unit washers and dryers, and key fob entry. 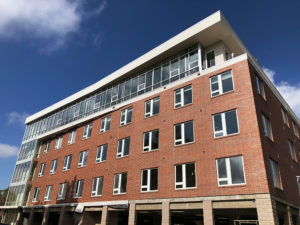 Completed earlier this year, the Class A property features a courtyard, grilling area, fire pit, conference room and study areas and is equipped with 44 parking spaces, 42 of which are covered. The property is located approximately four miles from downtown and just half of a block from Regis’ main campus at 4923-4935 King Street in Denver’s Berkeley neighborhood. Situated north of the Lowell Boulevard exit off Interstate 70, the property provides easy access to dining and nightlife along Tennyson Street as well as numerous recreational activities, including Willis Case Golf Course, Rocky Mountain Lake Park, Berkeley Lake, Creekside Park, Inspiration Point Park, Sloan’s Lake Park, Berkeley Dog Park and Lakeside Amusement Park. The HFF debt placement team representing the borrower included director Kristian Lichtenfels and associate Tyler Dumon. Newmark Knight Frank Multifamily announced the $40.25 million sale of West Line Flats, a newly delivered, Class A asset located in Lakewood. 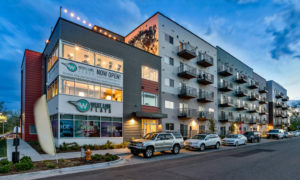 West Lines Flats’ 155 units delivered in 2017, is steps from the Lamar Light Rail Station on metro Denver’s W Line, part of the expanding light rail system that connects to downtown Denver in just 17 minutes. Vice Chairmen Jeff Hawks, Terrance Hunt and Shane Ozment — along with Executive Managing Director Chris Cowan — represented the seller, 6500 W. 13 th Denver LLC, in the transaction. This multifamily project was jointly developed by Inland National Development Company, LLC (INDC) and Momentum Development LLC (Momentum). INDC, one of the Inland Real Estate Group of Companies, is a nationwide developer headquartered in Oak Brook, IL. Momentum is a Colorado-based developer and consultant. “West Line Flats’ location, in the heart of the Colfax Avenue revitalization and proximity to light rail transportation, was the main driver for the property’s competitive sale price,” said Ozment. “The asset features contemporary design elements well-suited to the 40 West Arts District”. 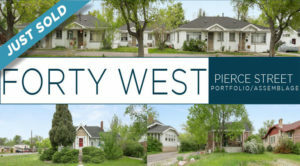 Just five minutes from West Line Flats, the district was established to support community arts events and creative enterprises in the Lakewood West Colfax Corridor. Thoughtfully-designed units offer residents luxury finishes such as sliding barn doors, granite countertops, Energy Star appliances, wood-style flooring throughout, walk-in closets, stacked full-size washer and dryer, and private patios or balconies. West Line Flats features a competitive amenity package including a rooftop deck with hot tub and fire pit; a 24-hour, state-of-the-art fitness center with a yoga and barre studio; detached garages; a ski and bike tune-up shop and an on-site 1.8 acre off-leash dog park. 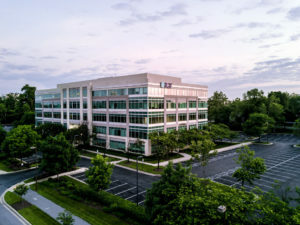 Broe Real Estate Group (BREG), a private real estate investment firm headquartered in Denver, confirmed the sale of a 121,789-square-foot medical pavilion located at 9601 Blackwell Road in Rockville, MD. Constructed in 2000, Shady Grove Medical Pavilion was acquired in a 2014 auction as a distressed asset. For the past four years, the BREG team invested in substantial capital improvements and implemented an active management plan to convert the property from standard office zoning to its current medical office status. The asset repositioning strategy saw project occupancy rise from its vacant status at acquisition to a current occupancy rate of 72.5 percent. NavPoint Real Estate Group announced it has completed the sale of an office building located at 8095 E Prentice Ave. This office building was fully renovated in 2018 and located in Denver Tech Center. It consists of nine private office suites each with a private patio. The seller was 8095 Prentice Ave, LLC and was represented by Brian & Brandon Basham of Basham Investments, LLC. The buyer was 469 Suite 100, LLC and was represented by Matt Call of NavPoint Real Estate Group. NavPoint Real Estate Group also announced it completed the sale of a multi-tenant retail project known as Conifer Marketplace located at 10853 Highway 285, totaling 86,659 square feet.  This center is situated in the scenic mountain community of Conifer and is ideally positioned along the highly traveled US Highway 285 and Highway 73. Conifer Marketplace is an established shopping center anchored by Staples, O’Reilly Auto Parts and Anytime Fitness, plus a wide range of other retail stores. The seller was Conifer Retail, LLC and was represented by Chris Wiedenmayer of Legend Partners. The buyer was DCP Conifer, LLC and was represented by Matt Call and Heather Taylor of NavPoint Real Estate Group.